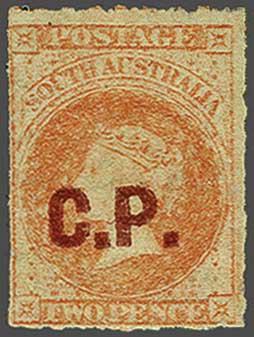 Commissioner of Police 1868: Overprinted "C.P." in red, on 2 d. vermilion, wmk. Large Star, rouletted, a fine unused example, minor bend, large part og. 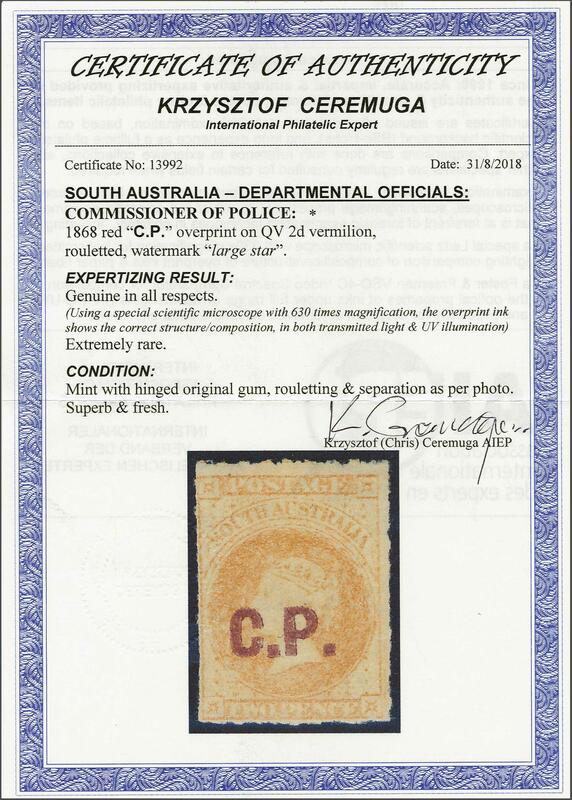 Whilst probably the commonest of all Departmentals used, this is a very rare stamp unused. Butler 4R. Cert. Ceremuga (2018).rnrnProvenance: Collection Col. H. Napier, RL, Basel, 20 March 1979, lot 358.